One of the greatest threats to the health of Sylvania’s pristine lakes and their fish population is the introduction of invasive aquatic species. It is, therefore, critical that all boats be checked (and cleaned if necessary) before entering the lakes. All plants, seeds, and animals as well as mud that might contain them, must be removed. Another threat is overfishing. Because of the short growing season in the western UP and the low nutrient levels, the lakes in the Sylvania Wilderness are not capable of supporting a large fish population, and the fish grow only very slowly. The US Forest Service conducted several surveys in the 1970s which showed that even limited consumptive harvest of bass from Sylvania's lakes would likely result in the depletion of the bass fishery over time. Please do not take more fish than you can consume during your stay in Sylvania. Special fishing regulations have been implemented for most of the lakes. 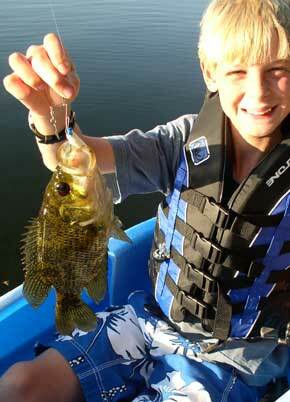 For example, smallmouth and largemouth bass must be returned to the waters immediately and there are size and possession limits for other species. To avoid injury, barbless hooks must be used. Furthermore, in order to prevent pollution and the spread of invasive species, it is illegal to use live, dead or preserved bait, food, or scented material. US Fish and Wildlife Service: "Let's get the lead out"